Now your sculptures can live outdoors. 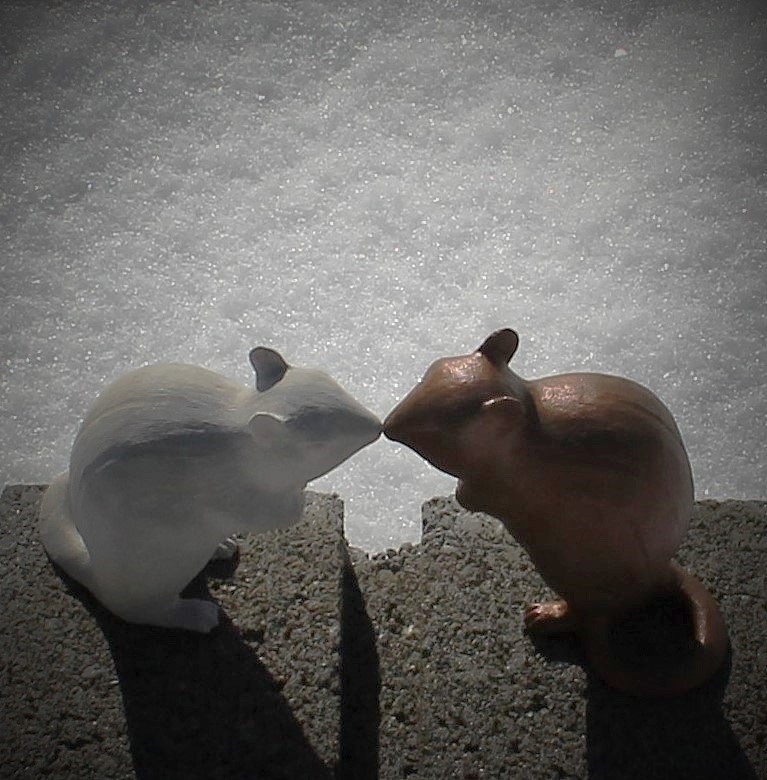 Cast and sealed to withstand the elements, Chipmunk is our first piece that is safe for garden use. Available now in a limited edition bronze finish as well as a plain, cast stone version. Would you consider sculpting birds for the garden? Great idea, Rhonda…I do love the birds! A fun and cheerful little fellow. I do enjoy seeing new works of yours. As for what next… a quillpig seems an excellent choice, though I imagine such a beastie provides rather a series of technical challenges to manifest in cast bronze. I really enjoyed the tile workshop you gave at the Langdon house. My tiles are glazed and fired! I might add them to my kitchen backsplash. If you are giving any more workshops in June or after the school year, I have friends asking. Thank you, Mary! I would love to see how they turned out with the glaze. I will be teaching a three-part botanical tiles workshop online this spring/summer…participants can enroll at their leisure. There will be an email about it that you can easily forward to your friends. I think a toad sculpture would be a good addition to a garden. Chipmunk is adorable! Thank you, Amanda! Toad is a good idea. I won’t suggest a groundhog because we remember how popular those were at a certain site in Philadelphia. I like the idea of birds. After all, what is a garden without birds? An owl, perhaps? Carol! What a treat to have you visit – and yes, I will leave the groundhogs to that certain site. I think that an owl would be well-received by many. All my best to you. I’m excited for my minks to arrive. Keep me posted about classes and additional garden friends! I will certainly do so! Thank you, Inge!